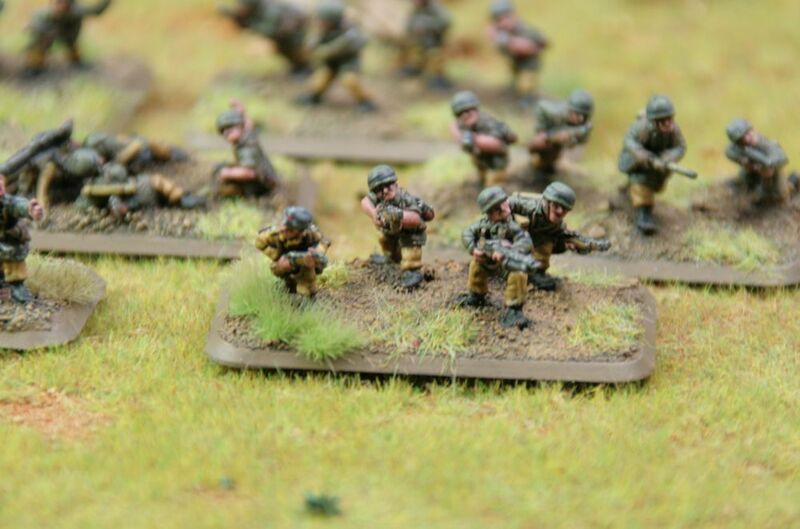 Now I am very close to have a finished army, although this blog has a different name. 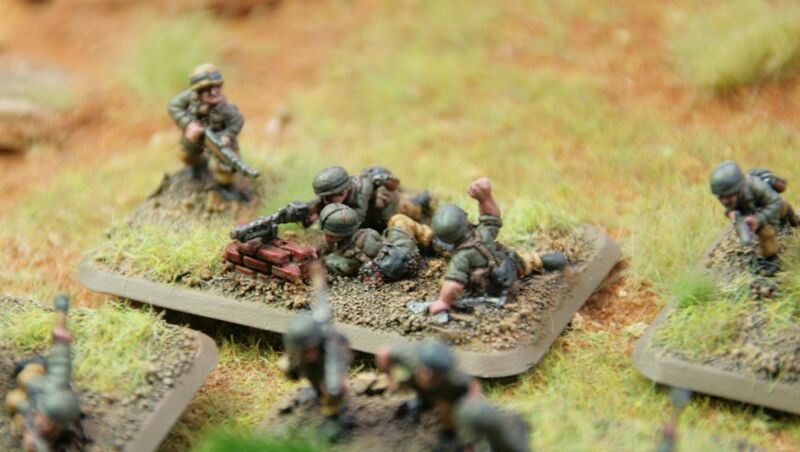 The Fallschirmjägerpioniere will only be followed by one complete platoon and maybe another 6 flamethrower teams. For sure there is one single option more which could be added after I model a light mortar team which is the mountain gun platoon. 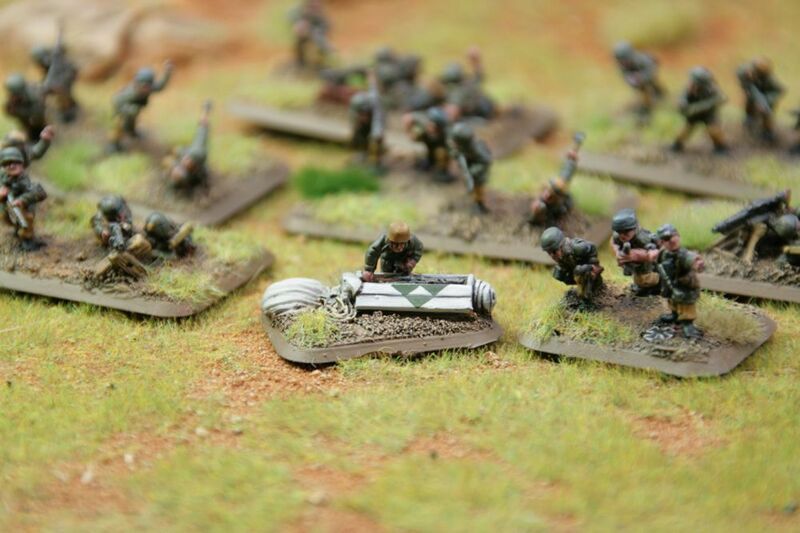 The values were changed in North Africa so the Fallschirmjäger artillery is now an option worth painting. 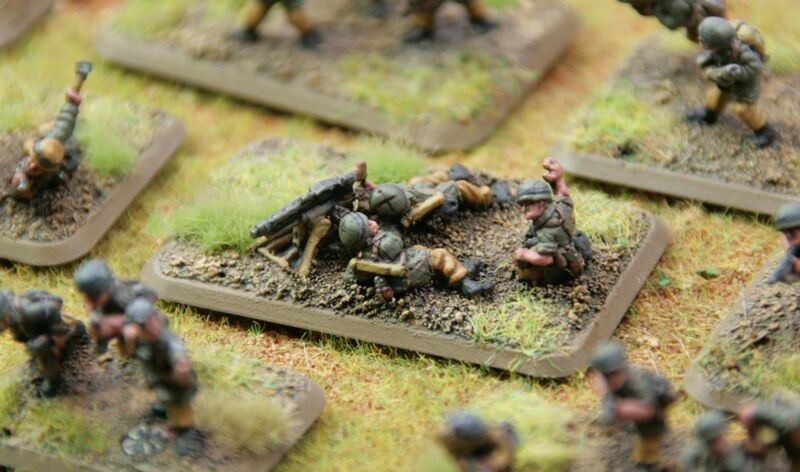 However I am very pleased with the performance of the heavy mortars. Adding another light mortar team, bearing in mind that the HQ has an option for light mortar teams too, this should be enough. Currently I was interested in having flamethrowers in the game since my club colleges often field tanks. The anti tank rating of pioneers sound very attractive, too. If I put an opel blitz truck from the various trucks I have on the table, I have a pioneer support truck, too. 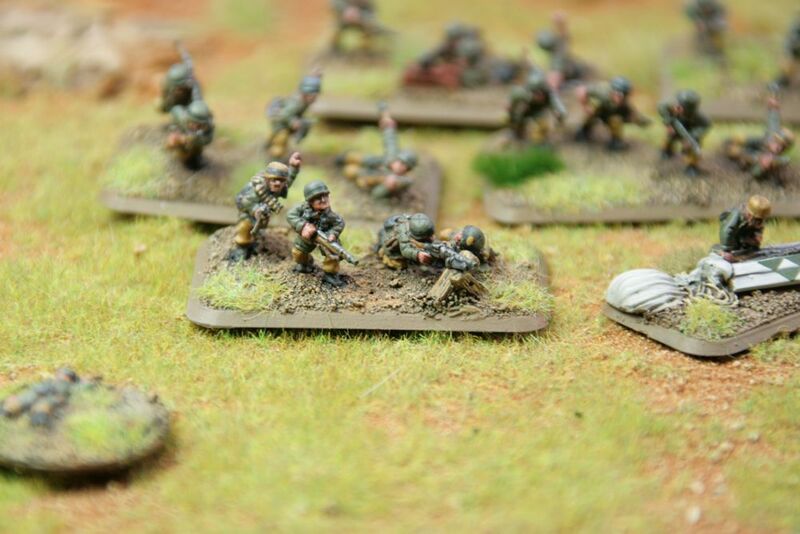 In order to differenciate between my infantry platoons I decided to paint olive jump smocks. 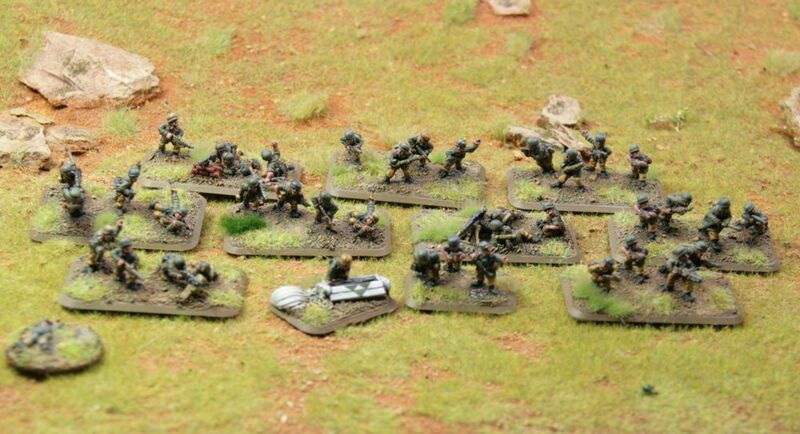 All other platoons have Luftwaffe splinter camo painted on. It came out very nice. Koch came with this blister too. In our club heroes are not very popular since the rules are somewhat exaggerated. van der Heydte for example, the lord of the living dead, is really ridiculous. Therefore I manned his team as a command team with 3 miniatures. He has the Luftwaffe Schiffchen hat and a splinter camo jump smock. Some of the models have rank insignia of Leutnant and Oberjäger, Koch himself the Oberstleutnant rank. 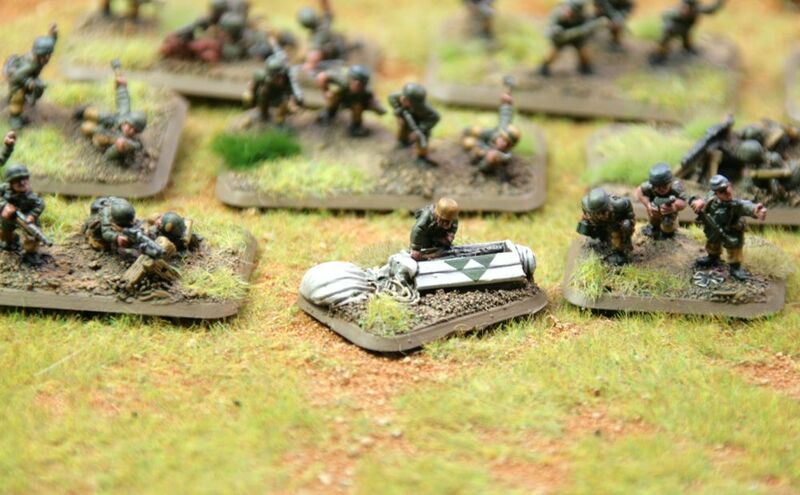 I have chosen an Glider assault platoon blister for my pioneers and painted some additional teams manned out of my Bitz box. Since Glider assault teams have MG42 teams, too I added one. If I don´t need them they can be treated as mere infantry teams. Usually we agree in the club to allow such minor proxy gaming. Doing the photos it came into my mind that the drop canister is not needed for a glider assault team. 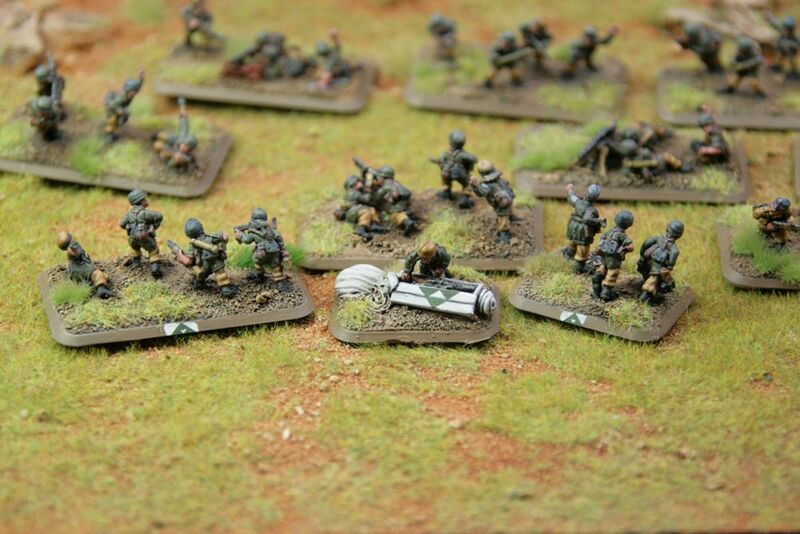 However the platoon could now be fielded as an airborne pioneer platoon, too.